Lebanon bed and breakfast travel guide for romantic, historic and adventure b&b's. 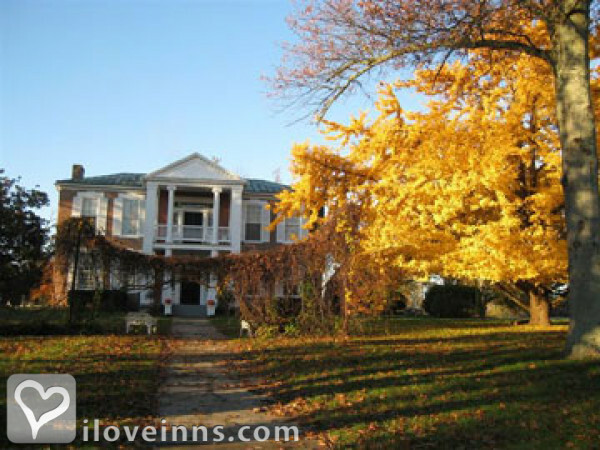 Browse through the iLoveInns.com database of Lebanon, Kentucky bed and breakfasts and country inns to find detailed listings that include room rates, special deals and area activities. You can click on the 'check rates and availability' button to contact the innkeeper. Lebanon, Kentucky offers interesting history at Loretto Motherhouse, Historic Bardstown, My Old Kentucky Home, Perryville Battlefield, Mill Springs Battlefield, and Gethsemane Monastery which is the home of the theologian Thomas Merton. Other important attractions in the city are Makers Mark Distillery, The Stephen Foster Story, Hoofprints on the Stairs Outdoor Drama, Centre College, Shaker Town, Churchill Downs, Keeneland Race Course which is in Lexington, Jim Beam Distillery, and Lebanon National Cemetery. A unique geological formation can be seen at Mammoth Cave National Park. Try shopping at the oldest country store in America, Penn's Store. Lebanon bed and breakfast innkeepers can help with directions to these attractions. By Myrtledene B&B.